He enjoys the challenges that a mixed animal practice brings each day. Probably a little partial to dogs but enjoys all species. His veterinary interest centers primarily around surgery with an emphasis on orthopedic surgery. 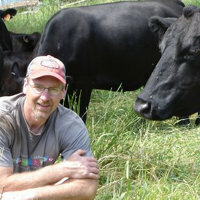 When he is not working at the hospital you can usually find Dr. Walker running their two farms. If not there, fly-fishing some exotic place or bird hunting with his black lab Hesston Cole. Her favorite animal to work with is a dog and she loves it that the patients are always so brave and unique. Her hobbies/interests include PHYSICS, running/walking with her dogs, relaxing at home (which rarely happens), reading, working out and painting. Her favorite animal to work on is a dog, and she enjoys helping people to enjoy the happiest and longest life with their pets. Her hobbies/interests include bible study, dog agility and horseback riding. Jill graduated from Washington State University with her DVM in May of 2013. 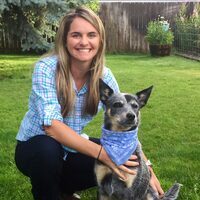 She is originally from Michigan and has an undergraduate degree from Michigan State University and a Masters in Animal Science from the University of Idaho. 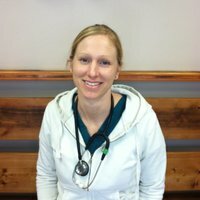 Jill primarily works at the St. Maries clinic during the week, but shares weekend duty and large animal emergencies for both clinics. She enjoys the wide range of cases she gets to see in mixed animal practice, but especially likes working with horses and cattle. In her spare time she enjoys spending time with her family riding, camping, and just enjoying life in the Pacific Northwest. Dr. Emily Tooker graduated from Iowa State University and since graduation has practiced in Wyoming and New Hampshire. 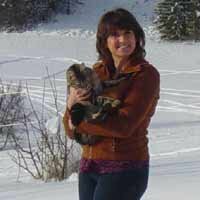 She has recently returned to the western United States to practice high quality mixed animal medicine. Her interests include ultrasonography and working tough medical cases in small and large animal alike. While she is partial to horses- dogs, cats, and even some exotic pets definitely help keep the days interesting. During her free time, Emily enjoys any outdoor recreation including hiking, camping, and horseback riding. Dr. Jessica Smalley is native of Coeur d'Alene. 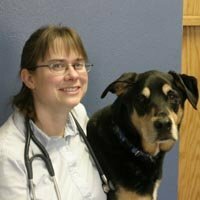 She earned her bachelor's degree at Whitworth University, then completed veterinary school at Washington State University. 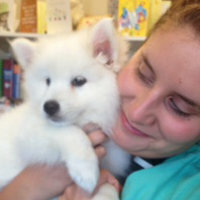 "I feel so fortunate to be able to work with small and large animals in the beautiful towns of Pinehurst and St. Maries." A little about me: I have wonderful nieces and nephews, and a Blue Heeler named Pip. I enjoy deer hunting, fishing, shooting guns, and camping. I am also attempting to be a gardener and golfer.